Fentanyl is an opioid-based pain killer that is about 100-times more potent than morphine. It was originally developed as an anesthetic used during surgery, but has since been made into new forms including patches placed on the skin to deliver the drug, which are most often prescribed to those with cancer or severe chronic pain. A fentanyl patch is a medicated adhesive transdermal patch that is placed on the skin to deliver a specific dose of fentanyl through the skin. 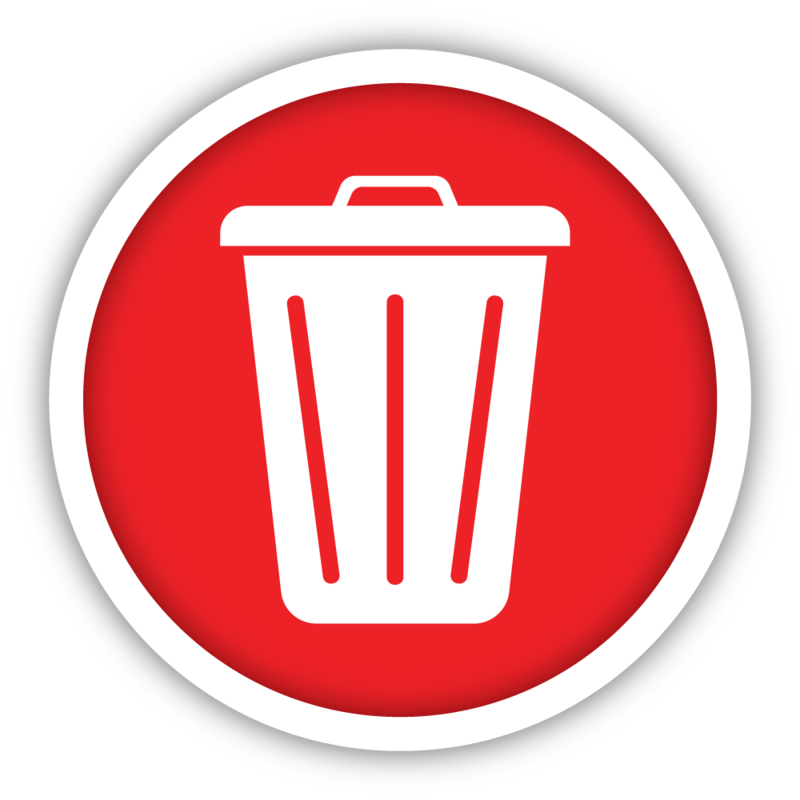 Improper disposal of these patches is a risk for diversion, illicit use and overdose and can also cause serious harm to members of the public including: children, pets, sanitation workers, as well as our water supply. Because of its high potency, fentanyl is very easy to overdose on through both intentional abuse and unintentional contact, and has in fact been responsible for the extreme increase in illicit drug overdose deaths in BC over the past few years. Improperly disposed fentanyl patches present a risk for diversion, illicit use and overdose. A fentanyl patch may still contain more than 50% of the labelled amount of fentanyl after 3 days of use – enough to cause serious harm or even death. In addition to illicit diversion, disposing of fentanyl patches by placing them in the garbage or flushing them down the toilet can cause serious harm to children, pets, sanitation workers, and our water supply. Fentanyl patches have an adhesive back that makes it easy for the patch to accidentally stick to arms or hands. The clear patches can easily stick to children, pets or others who might come in contact with patches, such as in household garbage cans. Just a small amount of exposure to the residual drug can cause serious harm and even death. 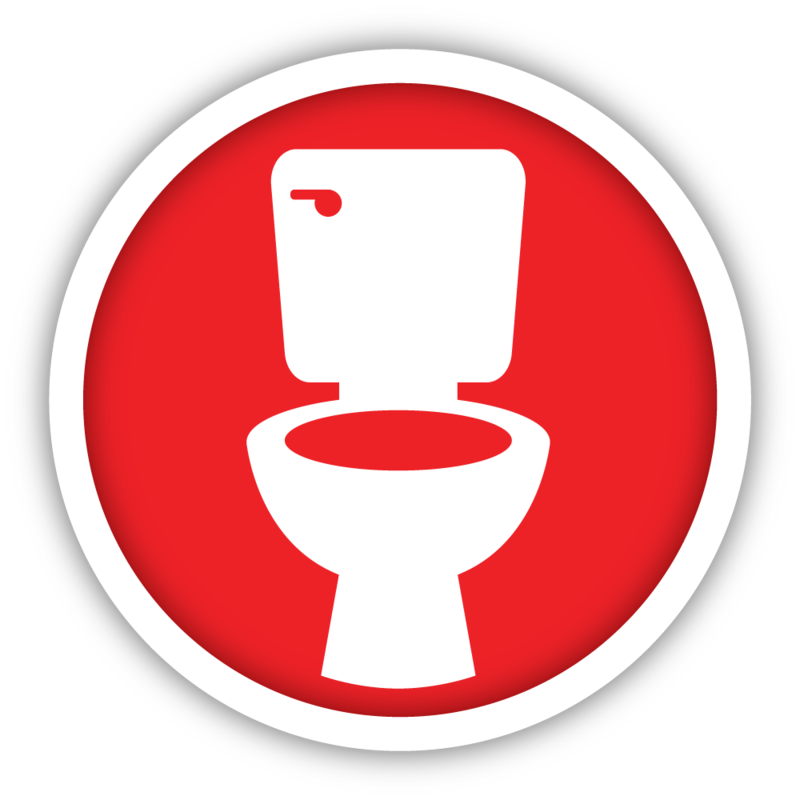 The fentanyl patch product monograph may recommend flushing used and unused patches down the toilet. However, given concerns about the environmental impact of drugs in the water supply, this is not a safe way to dispose of the drug. It is also not suitable to flush patches in locations with septic fields or tanks. All BC Lower Mainland municipal regulations state that medications are not to be discarded in the waste collection (garbage), yet this is probably the most common way in which patches are discarded by patients. Many patients are unable to have their fentanyl patches removed by a healthcare professional. 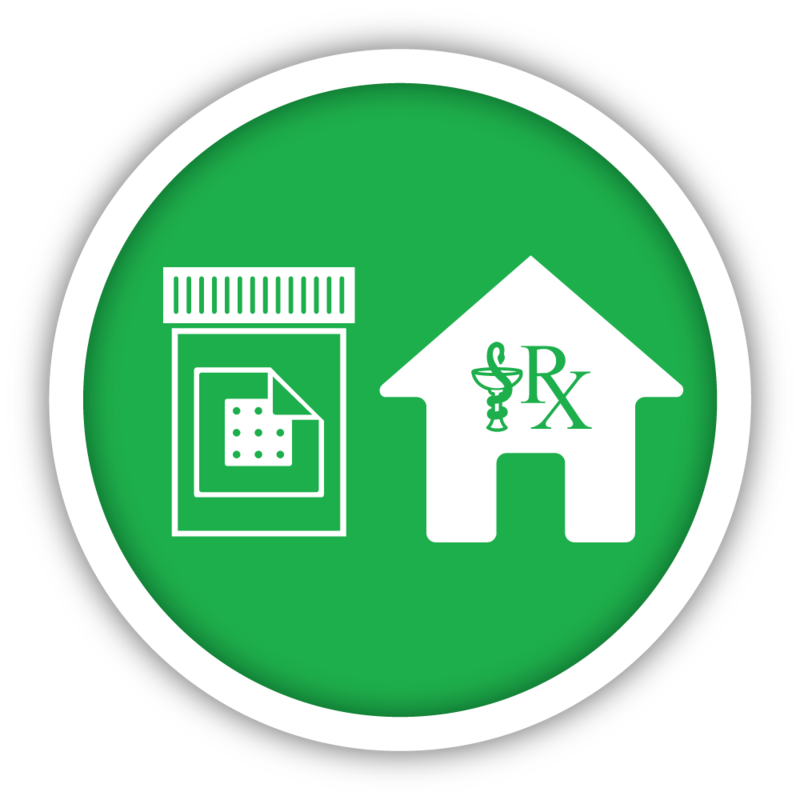 To help reduce the risk of an accidental overdose from used fentanyl patches, the College recommends pharmacy registrants counsel patients on the safe disposal of fentanyl patches. 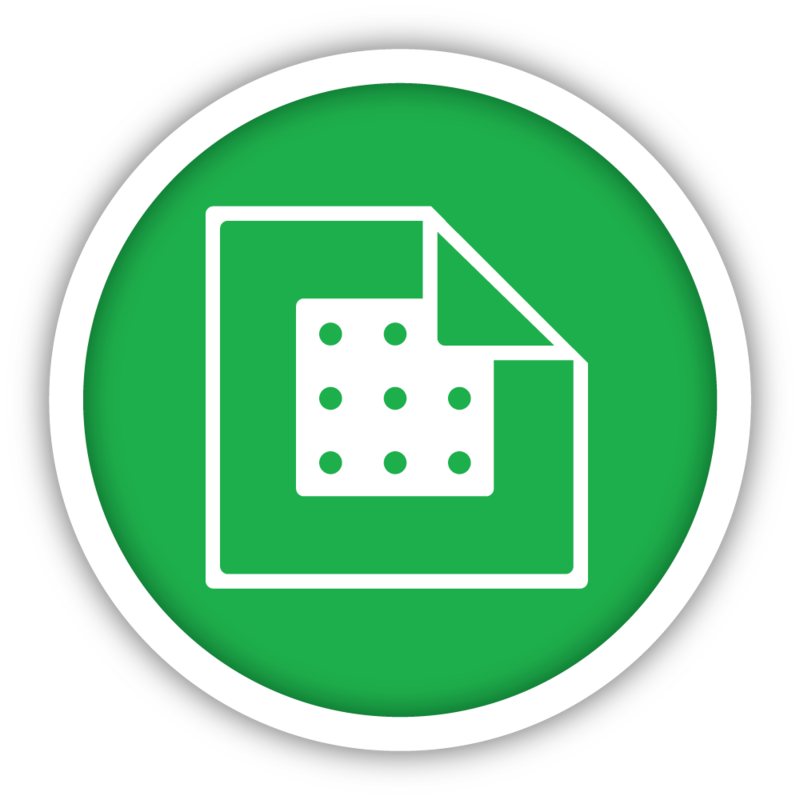 Indicate the number of patches being returned on the container or vial. Return them to the pharmacy for disposal. 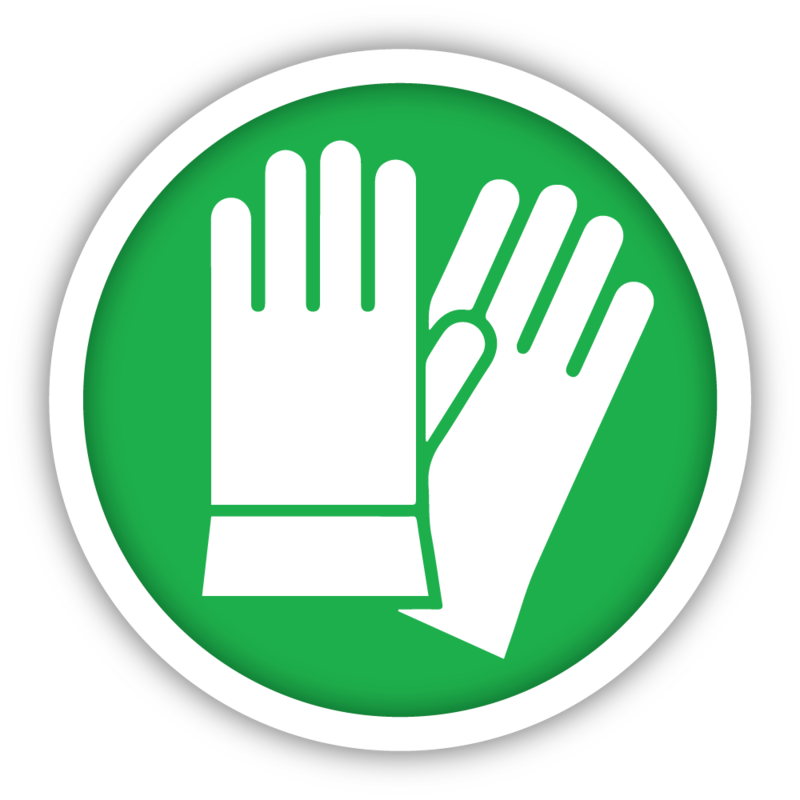 Encourage patients to wear medical or other protective gloves to prevent accidental exposure when handling the fentanyl patch. Patients should either bring the patch back to the pharmacy it was dispensed at or to a medications return location for safe disposal. 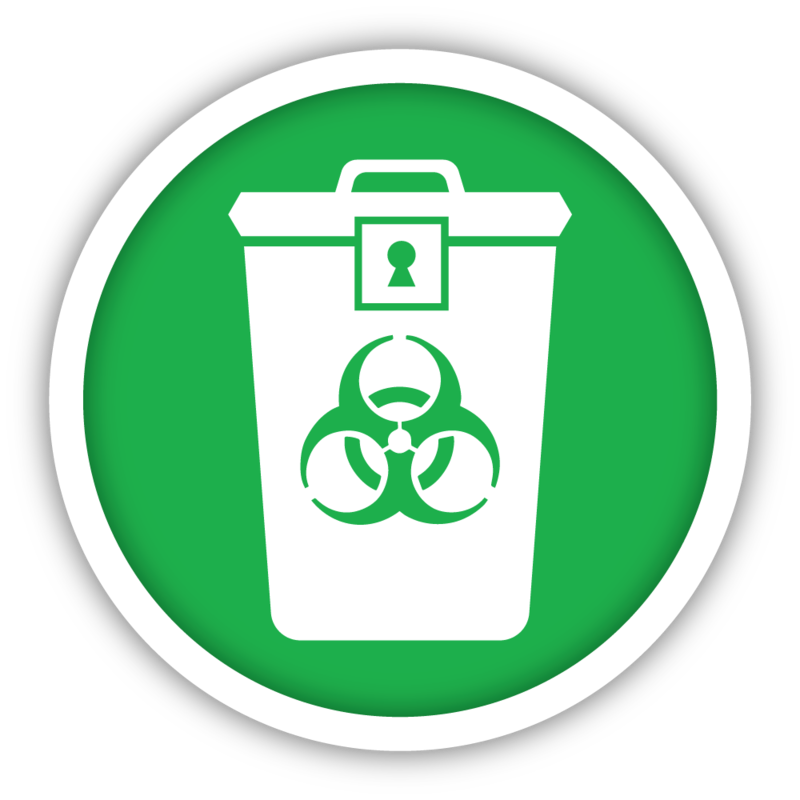 Standard 6 of the College’s Code of Ethics requires registrants to provide safe disposal of drugs and health related products and support environmentally friendly practices. All pharmacies are required under the Pharmacy Operations and Drug Scheduling Act – Bylaws, Section 3(2)(h)(iii) to have procedures in place for the proper disposal of unusable drugs and devices. 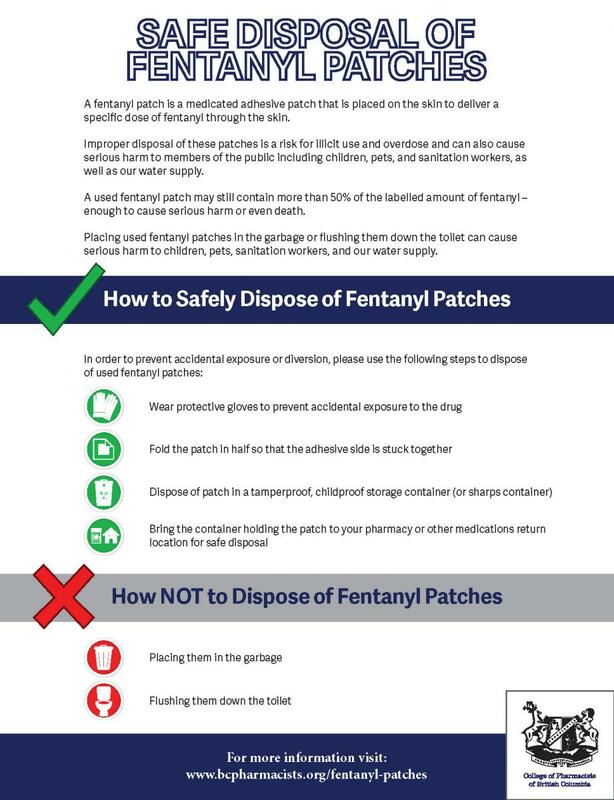 The College encourages all community pharmacies to accept returned fentanyl patches from any patient to help ensure these patches are disposed of safely. Pharmacies no longer need to request and receive pre-authorization from Health Canada for local destruction of unserviceable narcotics and controlled drugs.